Many people would like to do the floor sanding by themselves. However, it requires quite a bit of preparation. Due to this very reason, when it comes to floor sanding, it is important to understand the procedure before starting with it. The first thing you have to do is remove any carpet or rug which you might be having on the floor. You would need to also remove the dust from the floor. Due to this, you would have to take a vacuum cleaner and clean it completely. Before starting the sanding work, you have to completely clean floor. You have to ideally empty the entire room. If you are having certain immovable furniture, then you can keep it as it is but if the furniture is movable you have to remove it completely. If you cannot move the furniture outside the room, you have to push it to one side of the room. Once you are able to push it to one side of the room, you can sanding the other side and after that, you can move the furniture to the side of the room in which the sanding is done and then conduct the procedure on the other side. Even though this might require a lot of extra effort on your part, but it would certainly help you in getting the sanding done. Which is the equipment which you need? 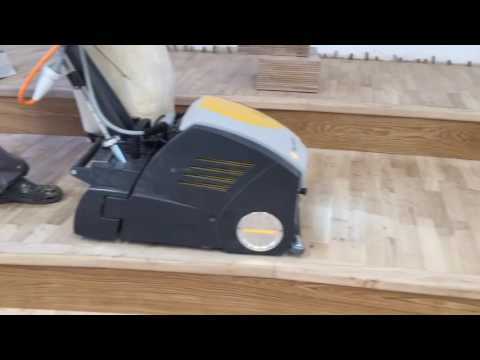 In order to sand the floor by hand, you have to look into the equipment which is needed. You would need the drum sander and along with that, you would also need edging sander. You can hire both of this equipment instead of buying them outright. Once you are able to do that, it becomes easier for you to start the sanding procedure at a lower cost. If you do not know how to use this equipment the store from where you are renting the equipment would be able to provide you with a short demo of it. What is the protective gear which you would need? Many people ignore the need of the protective gear. However, if you really want to do the sanding work accurately, it is important to get the protective gear in place. Once you are able to get the protective gear, then only it is completely safe to start the procedure. When you are able to have these in place, that is when you can start with the sanding procedure. What is the exact procedure for sanding? Now that you are familiar with how to use the sanding equipment, you have to start with the edges of the room. For the edges of the room, you would be using the edging sander. For the rest of the room, you would be using the drum sander. If the floor is very uneven, you can start with sanding the floor diagonally. This would ensure that if something is not fixed, it would come out easily. After that, you have to think about sanding in the direction of the floor. As a principle of sanding, you have to sand with the grain. So, if you are thinking of doing the sanding by yourself, these are the things which you would have to do in order to do it the right way. There are many other useful videos and tutorials online, so go ahead and give it a try, if you need help than don’t worry, we’re just a phone call away. Call us from 9am-5pm on 01202 906135. Share your experience with us, we’d love to help you with our expert advice and free consultation. 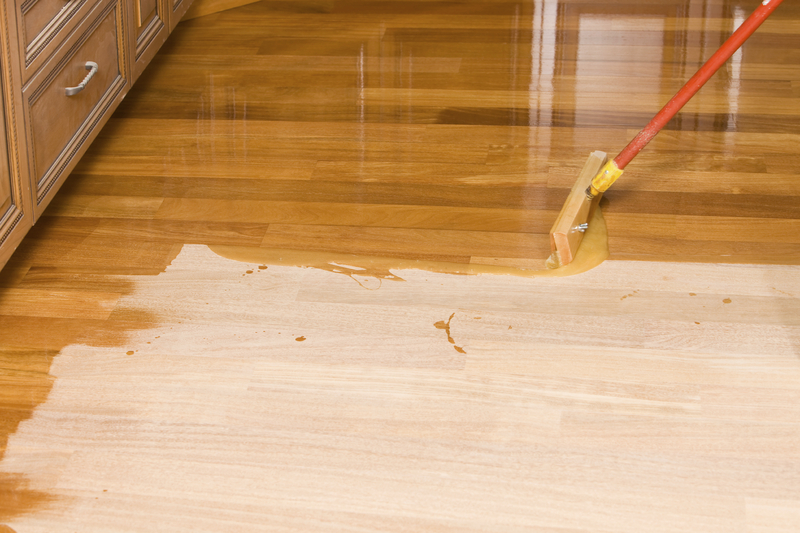 Your guide to Sanding Hardwood Floors by Hand. Expert tips. Many people would like to do the floor sanding by themselves. However, it requires quite a bit of preparation. 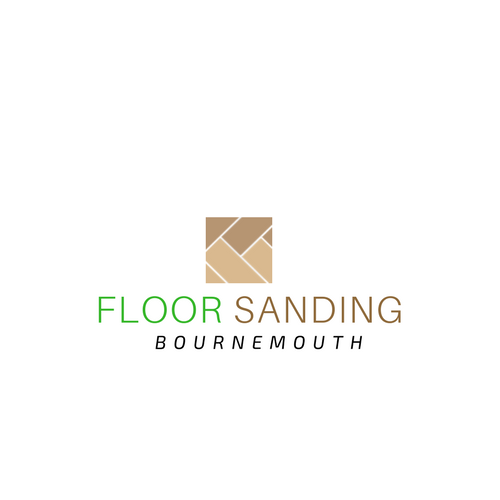 Due to this very reason, when it comes to floor sanding, it is important to understand the procedure before starting with it.